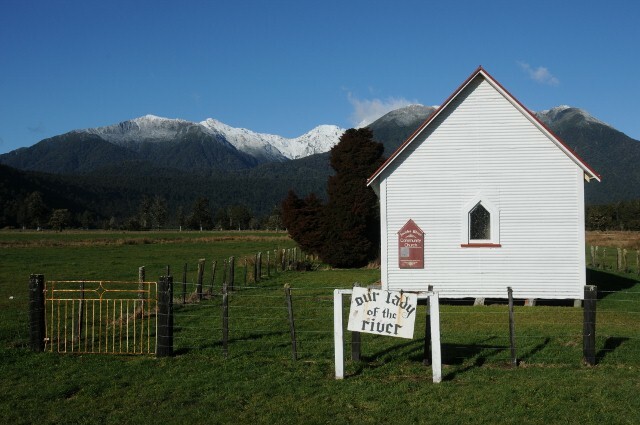 The South Island is many things. Imagine the California coast, the Grand Tetons, a tropical rainforest, the Swiss Alps, the Scottish Highlands, and throw in a bit of rural England for good measure, on an island the size of North Carolina. 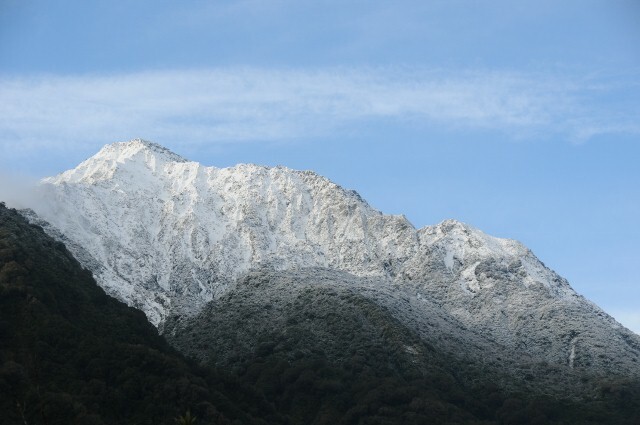 That’s a start on the South Island. 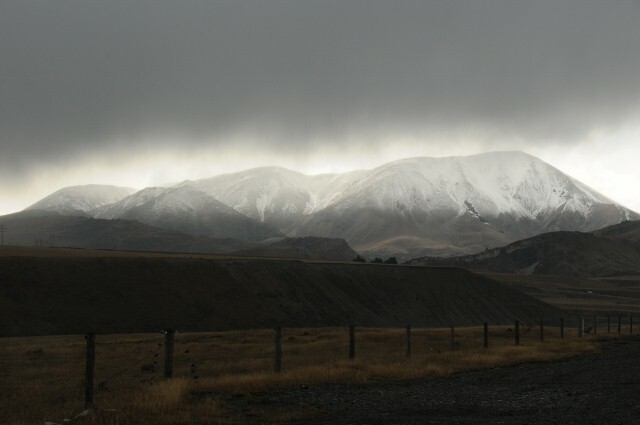 My drive began with sunny weather, but as I approached the mountains to the west, the clouds were brooding. The landscape, it appears, was literally divided. And the brooding got worse. 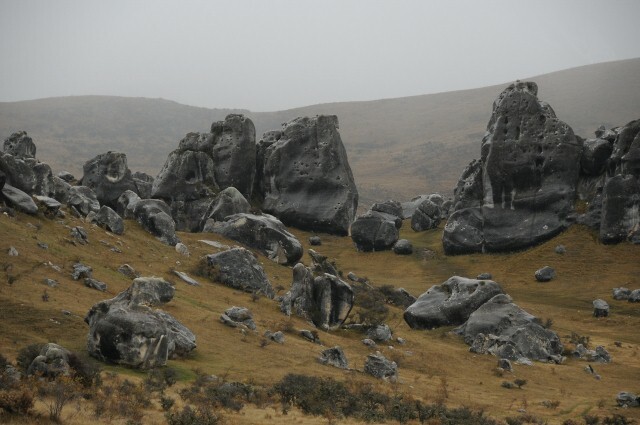 But I did not let the rain stop me from taking a look at these strange rocks. 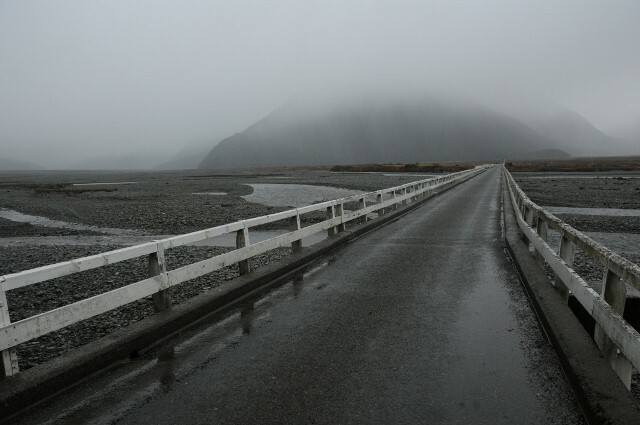 And in my travels across the South Island, I have never seen so many one lane bridges. It seems there are even more of these than sheep! 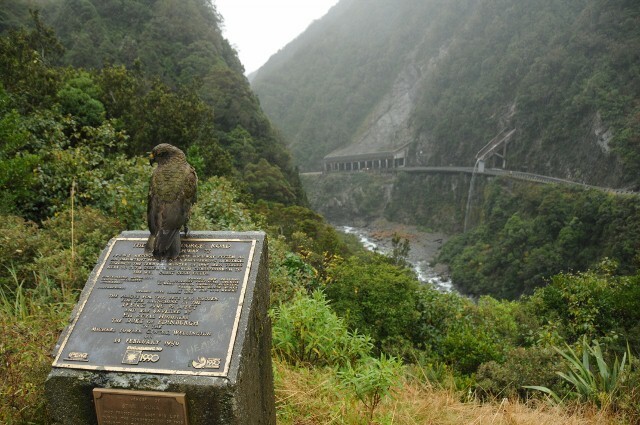 This was an amusing stop, not only for the water fall bridge in the distance guiding the water over the road, but for these Kea birds, the only species of alpine parrot. They are not shy and they will grab your stuff if allowed. This guy and his buddies got on the roof of my car as I left. They are thought of as the bad boys of the parrot world. 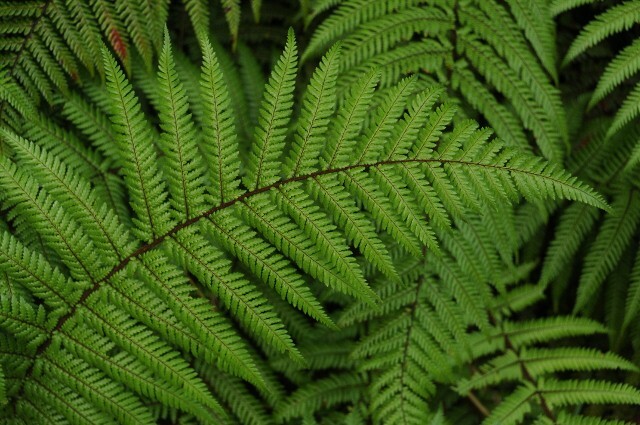 New Zealand is famous for its exotic ferns. They gave the landscape a primordial feel. As night began to fall the mist descended into the valleys giving the rural landscape a mysterious feel, to add to the primordial. 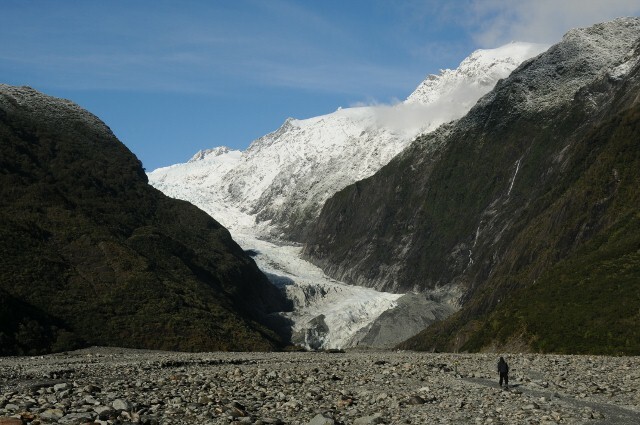 The first day’s drive got me as far as Franz Joseph Glacier Village. 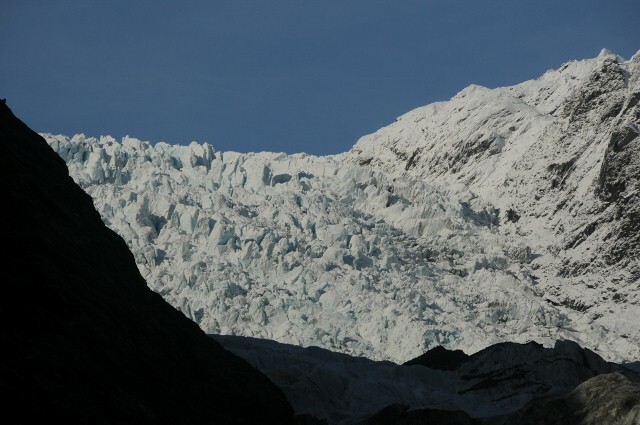 The glacier was the destination of a morning hike. 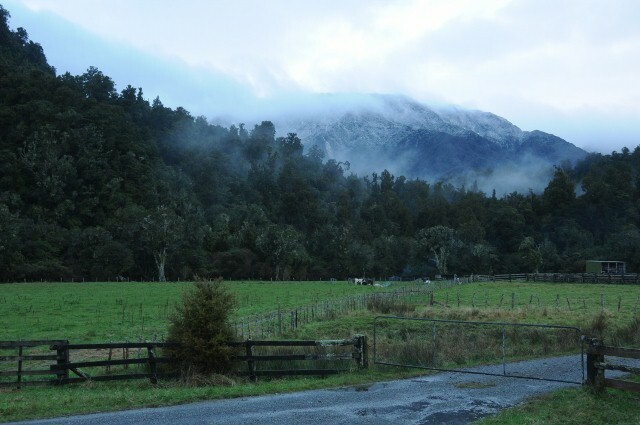 The surrounding mountains had a fresh coating of snow seemingly gently blown on as the snowline fades to green. As I approach the glacier its size becomes apparent. Just a few decades ago, where I am standing was under a few hundred feet of glacier. Walking on the glacier can be very dangerous, and can only be done with special guides and/or helicopters to land further up near the top. Even so, the day before I was there someone fell into a crevice and was killed. So I had to be satisfied with pictures from the face. 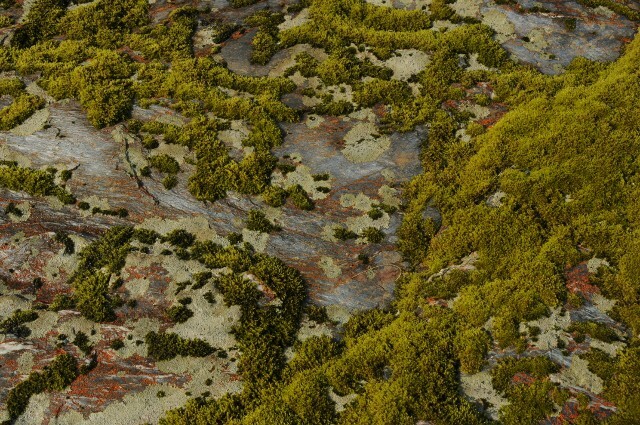 The moss and lichen here are like nowhere else I have seen. It seems to cover everything, and manages to find a living on sheer rock. 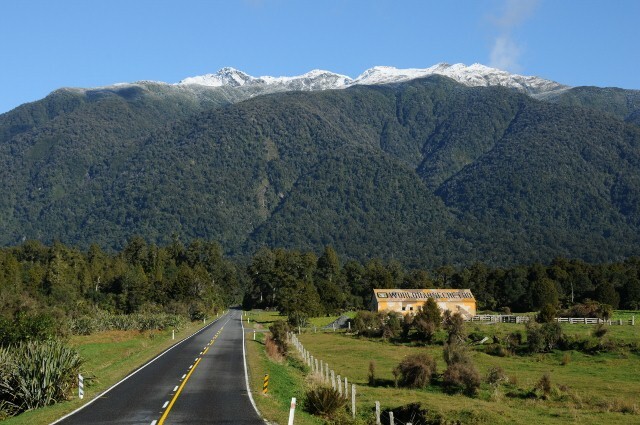 After I leave the glacier I encounter staggering scenery on the way. 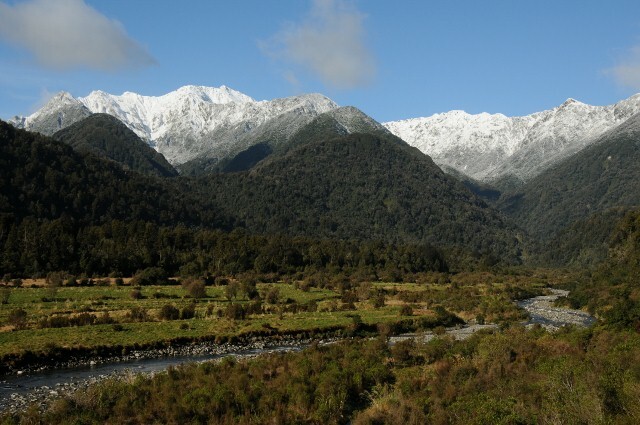 I can see why they filmed Lord Of The Rings here, it seems like a fantasy. But I swear it was real. Then you turn a corner, and a little bit of the real world comes back, even if it’s a bit surreal. Very suddenly the road hits the coast of the Tasman Sea. 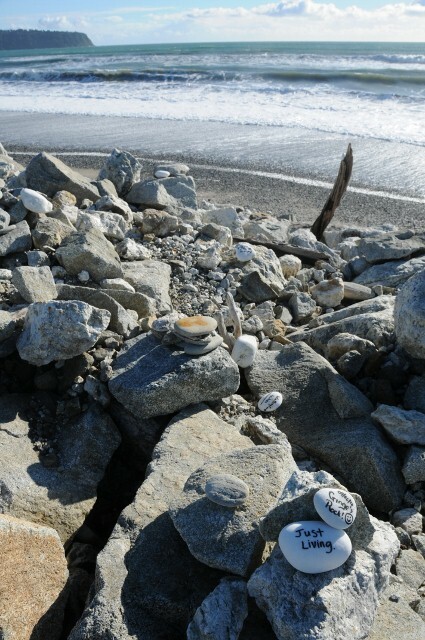 Right where the sea appeared, the beach had countless rocks and sticks stacked and placed along the beach all down the road. 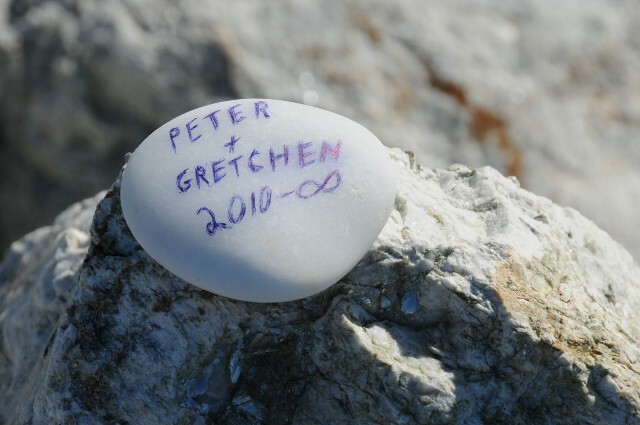 Many of the rocks had messages written on them commemorating trips taken, adventures had, and love found and enduring. Of course I had to add one. And then back inland, where the scenery could change at one turn from lush and green to alpine, the strange vegetation always adding a twist. Again, the mist comes as night falls. I guess I will be driving under that. 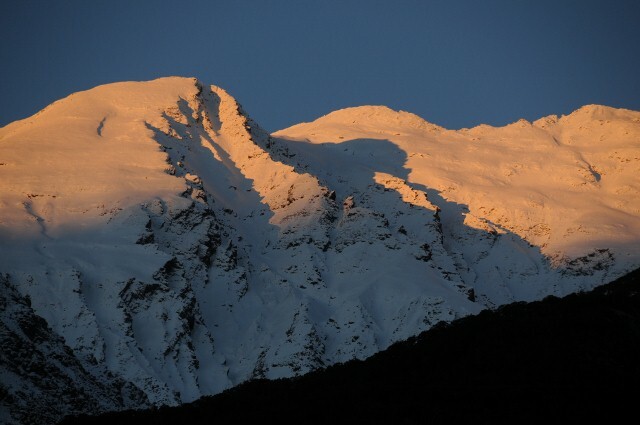 The last bits of sun kiss the tops of the mountains. 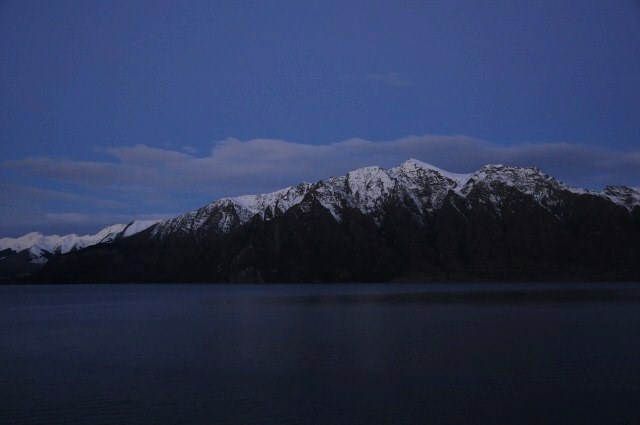 And then dusk as I get close to Queenstown and the surrounding lakes. 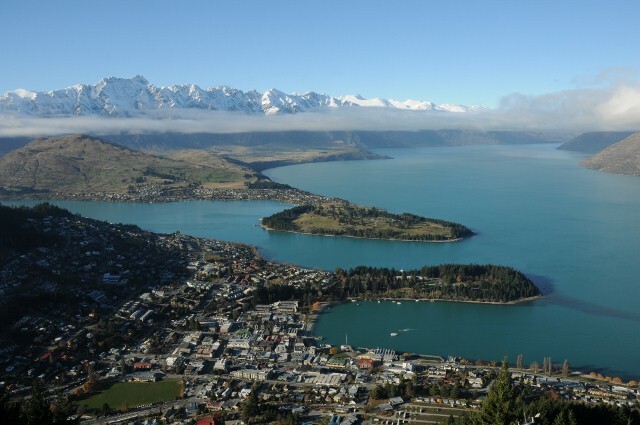 The morning reveals Queenstown from the top of a mountain. I took a gondola up to see the view, I admit it, I was scared. I don’t even like to move when hanging in one of those things. 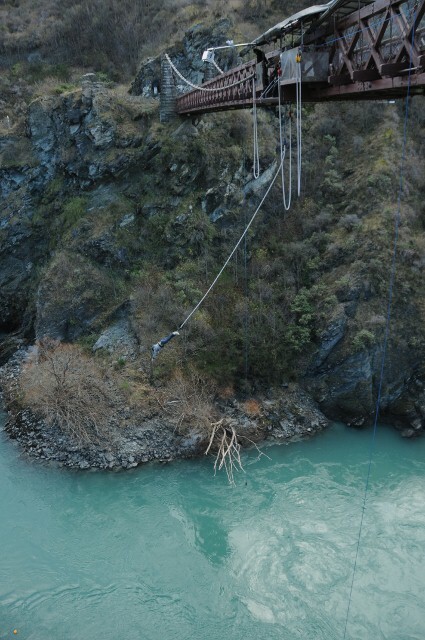 Of course Queenstown is famous for all kinds of extreme sports and numerous ways to scare yourself and throw your body around. There’s skiing, parasailing, jetboating, hang gliding, white water rafting, and of course most famously this – bungy jumping. It was invented here, on this very bridge. Hmmm, what do you think? Should I try THAT! Well fortunately there’s no time to think about that now. 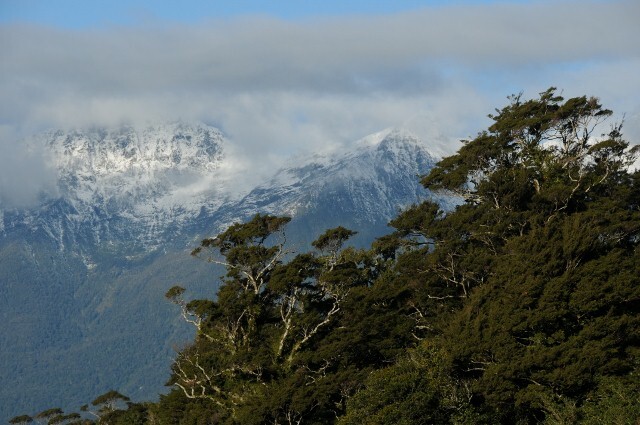 I have to get to Milford Sound and back today. Pictures at 11. So that is where the bungee jumpers came from…. I have to say, my fave post so far – truly awe-inspiring. 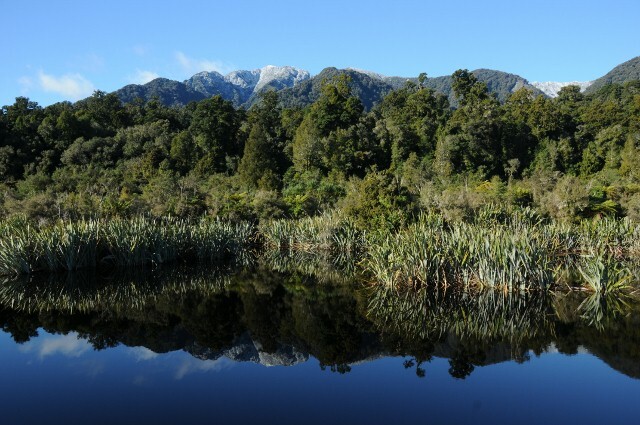 New Zealand just went to # 1 on my list!!! Your photos and commentary are brilliant, as always. 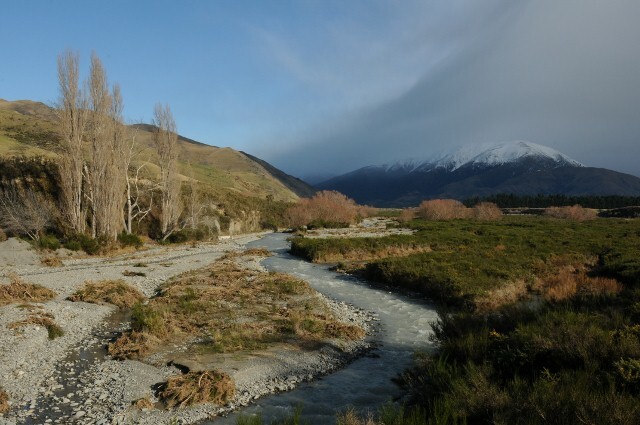 I’ve heard that NZ is a microcosm of all 7 continents – does that ring true to you?? Gorgeous, gorgeous, gorgeous. Thanks so much for sharing this trip. 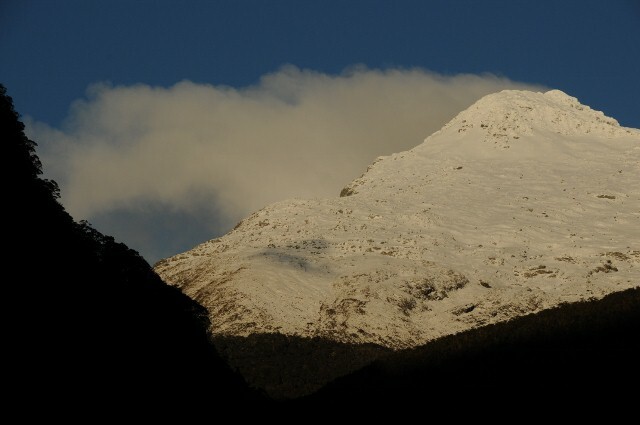 I was on Franz Joseph 21 years ago, probably over the very spot where you stood. Queenstown/Milford Sound is awesome. Only place I’ve ever seen a waterfall “fall up”, due to wind going straight up the cliff! I love these pictures… so beautiful AND they bring back great memories. 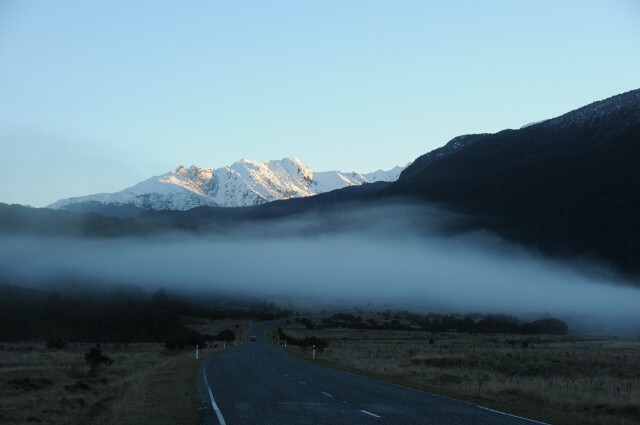 NZ is truly heaven on Earth! Love the rock you left.